If we tell you this quote comes from one of the presidents of the United States, you would probably imagine it to be from president Trump. He has been famous (or infamous?) for his overly bold statements on the issues like immigration, border security and controls. Let it be proposal of building wall on the U.S. – Mexico border or notorious travel ban on Muslim nations, shockwaves of his decisions and statements reaches edge of the planet instantly. However, the above quote actually comes from the former U.S. president Barack Obama. The above question was asked to point out that despite the huge difference in policies and approaches of both the presidents, they seem to be taking a common ground on the issue of border security and why not? Border security has always been a major concern among nations across the world. This article tries to dig the issue of border security little deeper and sheds light on how biometric based solutions can be the security we need at border checkpoints like airports, sea ports, etc. Border security: where do we stand now? Despite the huge budget, new equipments, more officers and efforts put in border security, issue of illegal and undocumented border crossings keep troubling the border control agencies. Unlawful entrants always seem to be devising new methods to illegally cross borders. Even in the era of technology assisted border security, illegal border crossings take place, illegal drugs get in and anti-national elements somehow make their way into a country. A report published by the New York Times suggests that there have been around 409,000 attempts of illegal border crossing at south-western border of the United States. Government agencies involved in border security have been using technological means to improve efficiency and refrain people from illegally entering or exiting a country. However identification of individuals at most border checkpoints like airports, road checkpoints, sea ports, etc. is still performed with traditional methods like ID cards and documents. Feeble border controls and use of traditional identification methods at border checkpoints becomes a boon for migrants who want to enter a country by hook or by crook. Since imitating IDs and documents has now become incredibly easy with the help of technology, stolen identities are commonly used to cross borders illegally. Border security is a complex endeavour and governments have to put a lot of money and efforts to safeguard its borders from illegal crossings. Border security gets more complicated if a country has a large geographical area and surrounded by many other countries. Illegal crossings may not look like an instant risk, however it can present a challenge to a country’s sovereignty or national security at a later stage. An illegal entrant can get involved espionage, terrorism or other anti-national activities that can become more complicated to handle at a later stage, which could have been stopped just by efficient border security countermeasures in the first place. Issue of border security require security of both, all the checkpoints and border throughout the geographical area. Along with traditional patrolling, border guarding force and human surveillance, technology is increasingly reducing human efforts in protecting borders. Why border security is crucial? Border security is crucial because a country can be a target to cross-border crimes, illegal trade, terrorism or other anti-national forces sponsored by foreign groups or rival countries. Certain individuals may try to cross borders with prohibited material such as illegal drugs, expensive metals such as gold, radio-active material like plutonium that is used in manufacturing nuclear weapons, etc. Political or social unrest can also result in illegal border incursions. We have seen it in happening during civil war of Syria when many people had to flee and take refuge in other countries. Many of them also crossed borders illegally. Most of these border crossers had personal reasons: a safe place to live and security of their family and friends. But disguising as refugees, many ISIS terrorist elements were also suspected to cross borders of their refuge providers. There have been many criminal and terrorist activities in the host countries providing refuge to Syrian migrants. It has already been established that that behind these incidents, there were ISIS terrorists that entered the host countries as refugees. Incidents like these leave a serious note that most of such migrants could be stopped right at the border checkpoints if border security agencies and intelligence agencies would have worked together. A border can be subject to threats from many directions so filtering out people with malicious intents is crucially important. Since most people crossing border via the border checkpoints like airports or seaports will be law abiding individuals, the process of border security should also be frictionless to clear legal border crossings. How biometric identification can improve border security? 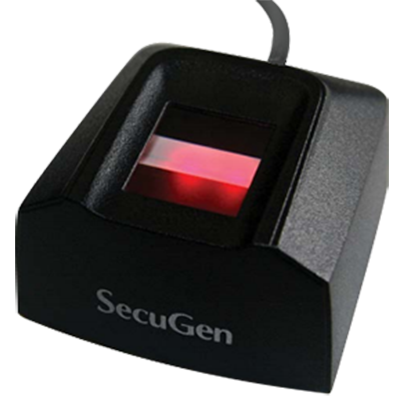 It is not long ago when biometric based access was something to flaunt in movies and TV shows. This technology, however, it is no more a science fiction now. We are surrounded by biometric applications: employee attendance applications, physical access, POS, and even on smartphones, biometrics is now omnipresent. Earlier biometrics was only considered for high security applications, but now with new innovative biometric hardware and technology for different use cases, it can be used in different application. But what made once expensive biometrics so affordable that its applications are now available in $100 smartphone? As biometric applications and usage grow, its demand grows and things get increasingly inexpensive due to the economy of scale, simple economics! The way biometric applications have been successfully deployed in government as well as private organizations, its usage at border checkpoints was inevitable. Governments of many countries are also leveraging biometrics for applications like civil identification, background checks, surveillance and law enforcement. All these factors have made biometrics the numero uno choice for identification and authentication applications and it is rapidly eliminating traditional applications. Biometrics for border security application presents a unique opportunity to document individuals crossing borders and identifying them at a later stage. Biometric information can also be used to track an individual if it disappears after crossing borders. For example, a facial recognition system can enroll a subject and mass surveillance system can be used to track her/him. Biometric recognition expedites the whole identification process dramatically. Once identity is established, it does not take more than a second to fetch the identity of the subject. It makes biometrics a perfect solution for border checkpoints as they are mostly crowded with people waiting for their turn. Faster processing of travellers also help clear the area, which gives human guards a chance to make their surveillance efforts more efficient. For digital service security, technology firms are trying to avoid “authentication barrier” approach, in which once authenticated, a user is free to do whatever she/he wishes to. It opens door to potential loopholes. If a cyber criminal is somehow able cross the authentication barrier of a digital service, she/he can be as privileged as an authorized user. User behavior tracking throughout the session is new approach for digital security and the same can be applied at border checkpoints for tracking individuals. Tracking of individuals with biometric modalities like face, gait, voice, etc. 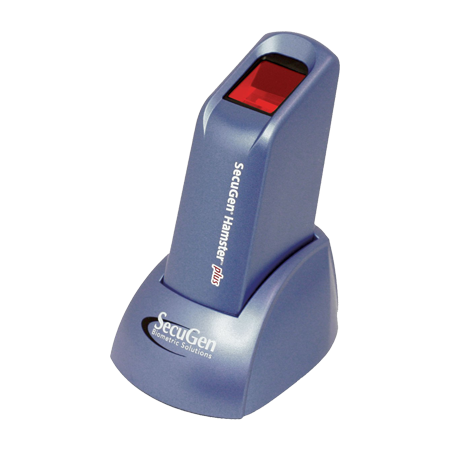 can be leveraged to remotely tracking a subject. This “throughout surveillance” approach can be particularly useful for people who are suspected to be associated with criminal or terror groups. In a typical case, once a subject pass a border security checkpoint, she/he is free to move anywhere in the country. This may result in serious security loophole because once passing the border checkpoint, subject may get involved in activities not confirming the country’s law. So intelligence and border security should go hand in hand to make it more effective. 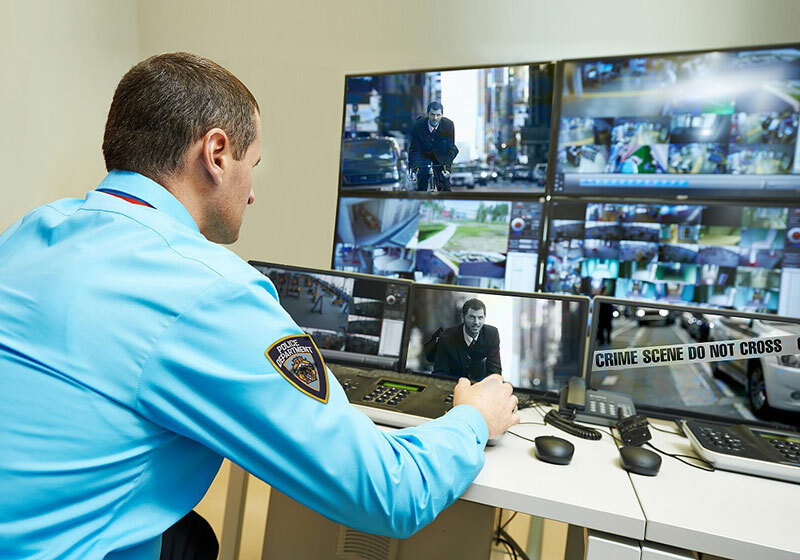 Modern surveillance tech is taking a more engaging approach and once a subject is on surveillance, every move she/he makes, is logged and systems are now capable enough to analyse patterns and raising alerts on the basis of activities. City-wide surveillance systems have made it possible to track a user using facial recognition. Any transaction made online or on computer networks can help locate a person on surveillance. Airports are a crucial border checkpoint. Air travel is no more a luxury now. In fact, there is no other feasible mean of travelling if distance is quite long. Most international travellers use it as their preferred mode of travel, so security of airports becomes critically important. Today’s airports can be a busy place and without technology assisted operations, it can be near impossible to process customers and clear queues. Passenger identification for security clearance is one of the functions that claims a lot of time of air travellers. Since passenger identification is a vital activity, keeping it precise requires time and human attention. An error in identification can let a high-risk traveller slip through the hands of border security. In a worse case scenario, that high risk subject can further involve in anti-national activities like espionage, terrorism and claim lives of innocent people. Biometric recognition can offer precise and fast identification at the airports. It can be used both for security clearance as well as at self-service kiosks to print boarding passes. There is no need to carry any ID if a passenger is registered with her/his biometrics. Biometric identification also leaves no scope for Identity theft as criminals can forge cards or documents, but not a person’s biometric characteristics. Even if they are able to somehow steal biometric pattern of someone, they are of no use as modern biometric system can recognize spoof attempts. Many airports around the world have already started using facial scan, fingerprints and iris recognition. The U.S. Customs and Border Protection Agency (CBP) is also in the process of implementing biometric entry exit systems at the United States Airports. Securing borders are not just about security at checkpoints. Border security requires entire border to be protected against illegal intrusions. Along with physical security like fencing, wall, guards and patrol agents; logical security can also greatly help border security agencies to deter illegal border crossings and cross-border crimes. Fortunately, some human modalities or patterns can be used to identify a subject from a distance. Several methods have been developed for remote identification and mass surveillance. 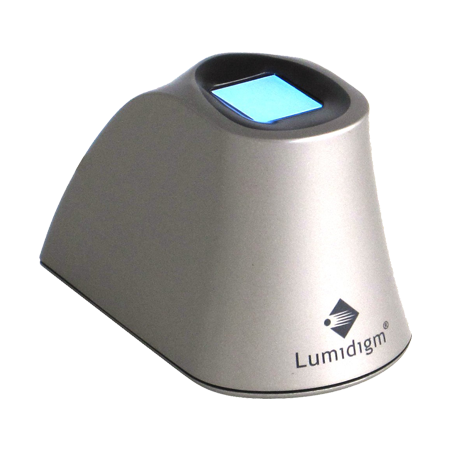 Facial recognition is one of the most used modalities leveraged for remote identification. Today’s powerful high resolution cameras can capture enough details from a distance. These cameras can capture facial details and feed it to a facial recognition system. It offers an opportunity to install such cameras along the border to remotely identify people. If someone who is already on border security agency’s records comes close the border. These cameras can capture her/his facial details and send it to the facial recognition systems running behind the scenes. The system can raise an alert if the subject have been already identified and on the records of flagged (i.e. a suspected criminal or terrorist). 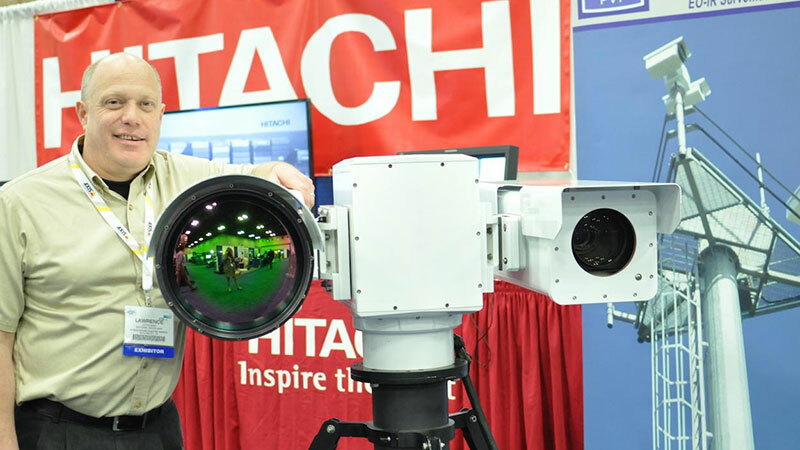 Image: Hitachi showcased a new surveillance device that features both radar and camera in one setup at 10th Annual Border Security Expo in San Antonio, Texas. Gait analysis is another biometric recognition method that can be significant in remotely identifying people crossing borders. We all have some ability to recognize people with their style of walking. When this ability is given to electronic devices, it is called gait recognition systems. A gait recognition system can make use of video feed as well as sensor data to process and map pattern of an individual in motion. Raw data requirements depends on the input requirements of a recognition system, for example, some recognition systems may just need video feed, others may require sensor data as well. Gait analysis is one of the least invasive and hard to detect methods of recognition. Since user consent is not required (and often not taken), gait recognition systems can be deployed in mass surveillance applications to recognize people from a distance. However, gait of a person can also depend on factors like physical or mental health, fitness, fatigue, etc. there can be variations in input feed which can also deviate expected results. Biometric identification methods, along with radars and heat map sensors can further increase the efficiency of border security countermeasures. This timeless quote from America’s founding father, Benjamin franklin has never sounded inappropriate. But in today’s scenario, it has become more relevant. Biometrics is increasingly used in mass surveillance on the name of security, however, this security comes at the cost of civil liberty and privacy. Infamous 9/11 attacks can be called the turning point, from where government had to take strong decisions to put everyone on surveillance. Mass surveillance programs like Operation prism have already made it to new headlines around the world. Now the FBI is spending $1 billion to build a new biometric database, which will store DNA, facial recognition data, iris/retina (eye) data, fingerprints, palm prints, and other biometric data of people living in the United States. This level of mass surveillance programs has worried privacy advocates as well as law abiding citizens. In the last few years, security and surveillance measures have increased in the United States, but where the use of technology becomes less transparent, the boundary between legitimate surveillance and abuse is reduced. That’s not it, mass surveillance is a costly endeavour (yeah, in financial terms too). How comfortable would you feel after knowing the fact that the money you paid as taxes is being spent to surveil you. What may however be disturbing are the possible abuses that are generated out of this surveillance. For example, to what extent can a normal surveillance be pushed, without turning into an abuse or in a privacy violation? This is precisely the key concept behind this problem. Security is one of the primary concerns of the nations across the world, especially when it comes to security of border checkpoints. Illegal crossing of international borders is a problem that can result in a national security incident and turn fatal for a country. Airports are the busiest border checkpoints through which millions of people cross international borders. Present days airports can be a very busy place and accurate identification of thousands of people in a day with the same efficiency and accuracy throughout the day puts a lot of stress at border security agents. The most important challenge for border officials is to prevent illegal immigration and restrict terrorists and criminals from entering the country. 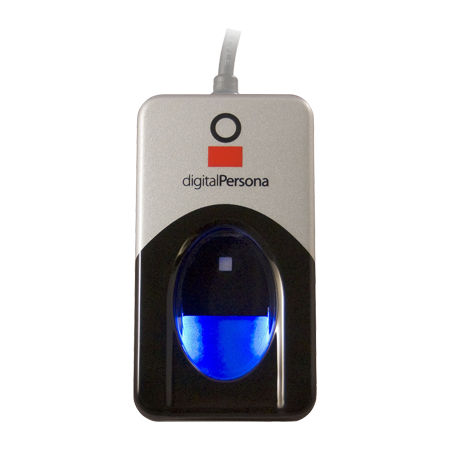 Biometric recognition can help border security agencies at the checkpoints like airports, sea ports etc. It can also be used to run surveillance along with the border as illegal intrusions can take place despite fencing or other physical security on the border. Modalities like fingerprint, face and iris can be used at border checkpoints, while high resolution camera and sensors can be installed along with the border to remotely identify people. Radars and heat maps are being increasingly used for border security, use of biometrics along with these methods can dramatically improve border security and control illegal crossings. Illegal crossings may not present an instant threat to the national security, but they can become a serious problem if not stopped right at the border. Today from mounted guards to radars and camera equipped drones ensure border security, while many controlled checkpoints like airports, seaports and road checkpoints have been using technology like facial, fingerprint and iris recognition to identify who is entering or exiting the country.